Back in 2005 when the prices of the COE were low, small cars like the Kia Picanto and the Perodua Kelisa thrived as they were cheap to buy and run. 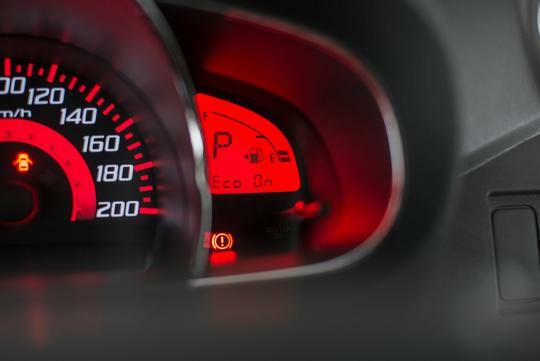 These cars were popular as they allowed almost everyone who has a average paying job to be able to afford a car as their yearly depreciation amounted to less than $4,000 a year. Fast forward to the present, COE prices have not been kind to most of us and have remained on the high side. 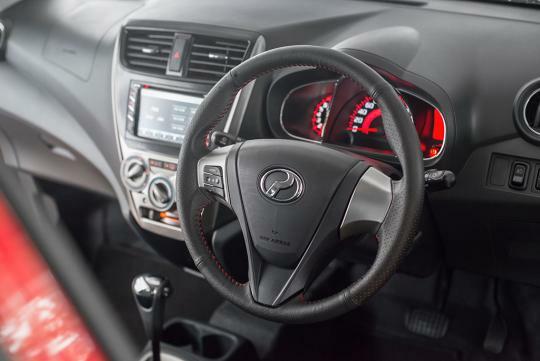 With Category A price hovering around the 50 plus grand mark, small basic cars have not been selling well as they are deemed too expensive and not worth the price. 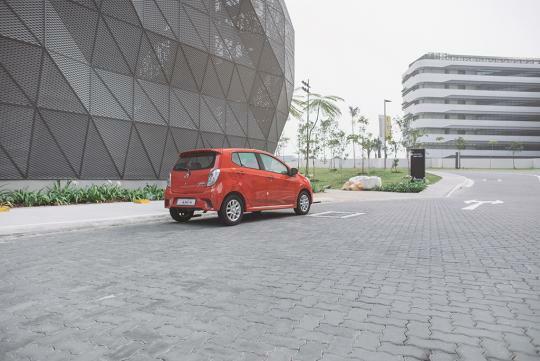 But with the COE supply expected to rise next year, Perodua has faith that its new city car, the Axia, which we just tested, will do well when COE prices fall. 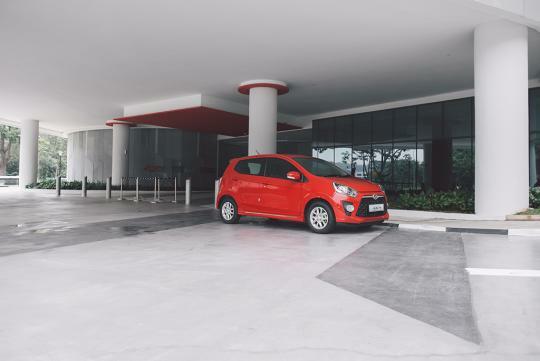 As mentioned, the angular-looking Axia is city car hence its compact size. It is actually smaller than a Suzuki Swift but don't let that put you off though. It will still sit four with ease and five at a slight squeeze. Space up front is very impressive for its size. 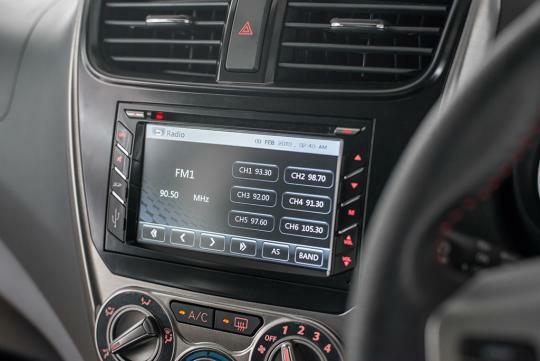 Being a basic car, do not expect much in terms of standard equipment. No, there is no auto climate control nor auto headlights. That said, you do get a decent navigation system. 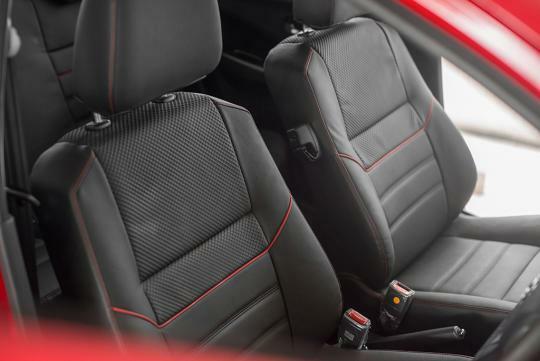 According to the brochure, these are 'Sports Seats' and they actually hold my torso better than expected. Interestingly, there is an Eco indicator that you can toggle on and off to show whether you are driving it economically or not. Unfortunately, it does not alter the driving experience at all. 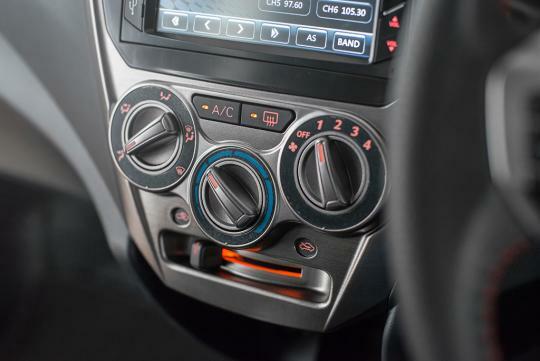 While most of the cabin feels well put together, some parts of it do betray its budget roots. 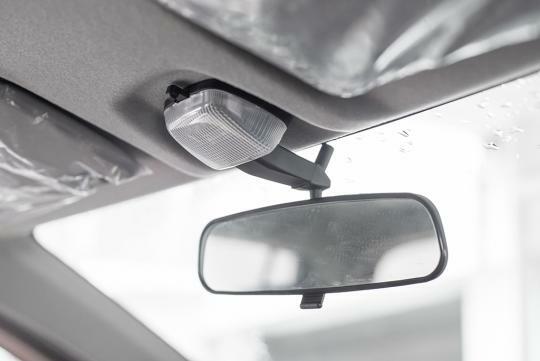 A good example is the flimsy rear-view mirror which looks like it came from the 90s and feels like it won't last. On the road, the electric power steering feels heavy but accurate. Obviously, it is nowhere near a hot hatch's level of sharpness nor does provide a constant stream of info on the roads you are on but it is good enough for a city roundabout. 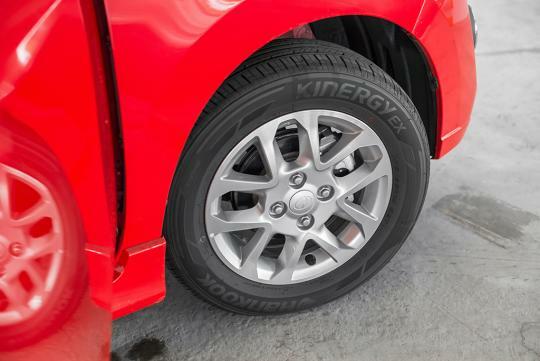 Riding on 14-inch wheels, the drive is a comfortable one most of the time but it can feel slightly firm when driving at low speeds. So does it handle alright? Yes it does. Body roll is well controlled and it will happy resist understeer well. 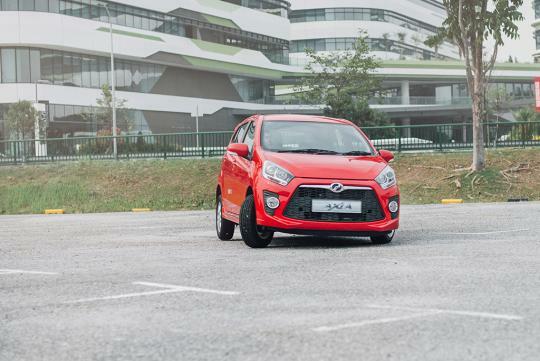 Keeping to its friendly cornering attitude, sudden throttle lift-offs will not bring the rear of the car out. 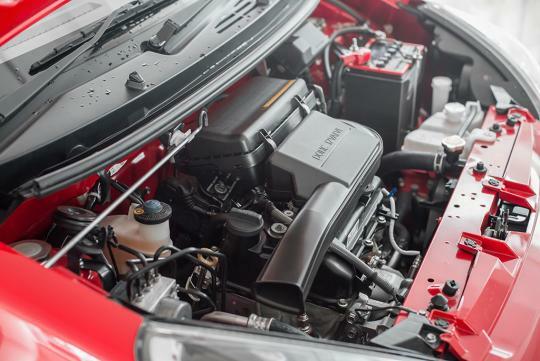 As for the engine, the 1.0-litre natural aspirated engine pumps out a respectable 66bhp and 90Nm of torque. Yes, it is no fireball but it is enough to power the sub-900kg Axia up to speed without sounding strained. In fact, it is surprisingly perky at speeds below the national limit and it emits a nice three-cylinder soundtrack when pushed. 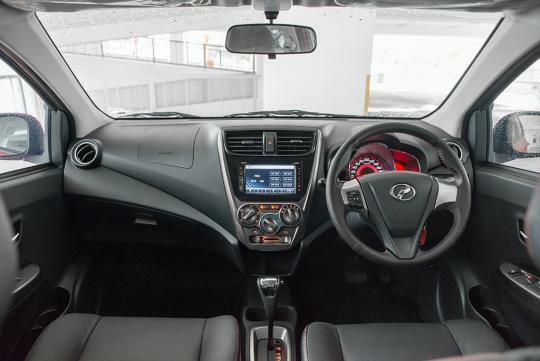 On the whole, the Perodua is decent effort from the Malaysian manufacturer but faces quite a big challenge when the starting price for the car is more than S$80,000. Many will find it more worthwhile to fork out slightly more for a bigger and better built car. 80,000? Too close for comfort to the price point of the Mitsubishi Attrage (which I like to call the Outrage, but it's still something I'd have over a boleh-car). And top up a little more and you get a supercharged Nissan Note (I know 'cos our family recently acquired one, it's a nice car). I'll take the bus. Thank you. Perodua? I take public transport + Cab(Sonata) better. Yup. Quite a number of cars are available if you just top up a bit. The Note is a pretty decent car but its getting a bit long in the tooth. For those who rather take public transport, I think you might regret it when the trains breakdown. I will be more than happy to have the Axia and avoid squeezing into never-ending overcrowded trains and buses lol! I think it's quite a decent B&B car & not to mention the ample supply of parts easily available next door. Priced at 80K, given our current COE climate for new cars, this is likely 1 of the cheaper alternatives around (is Chery still around btw?). Looks better than the Mitsu Attrage in my view. Also - How was the fuel consumption like when you guys had a go at it? Frugal being a 3 cyl & all? for 80k? I'd take one of the more interesting 'COE' cars. Thank you.